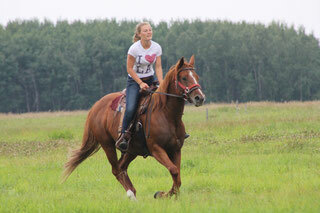 Please contact Kelly if you would like to help organize a Cross-Country Trail Ride. A Competitive Cross-Country Trail Rideis a low-key competitive event derived from foxhunting. 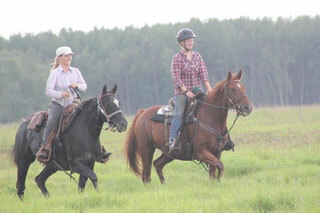 Both Western and English riders are welcome to enjoy the camaraderie, fun and friendly rivalry. Teams of two or three riders follow a course laid out over terrain which is meant to simulate the riding conditions encountered during a foxhunt. There is no set length for a Competitive Cross-Country Trail Ride course, although courses are typically around 5-10 miles and can take 2-3 hours to complete. Even though there is a competitive aspect to the Cross-Country trail ride most riders will regard it as an enjoyable way to spend a day in the countryside with their mounts and congenial company. Winning Ways Competitive Cross-Country Trail Ride is divided into two divisions, with different optimum times. 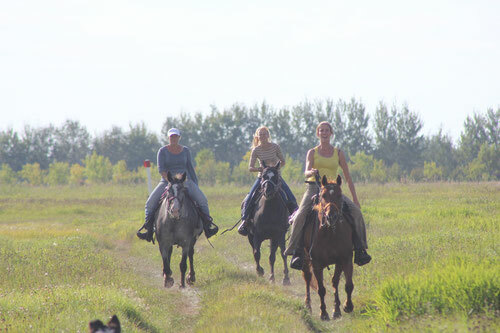 Winning Ways offers a Pace Rider Division for those experienced in cross-country riding who wish to take the course at a faster pace, and a Trail Rider Division for those who wish to travel more slowly. 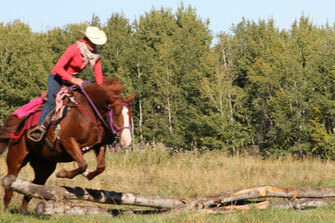 The winning time for the Trail Rider Division will be determined by averaging the middle times of the Trail Ride teams. It is up to each Pace Rider team to guess what the organizers of the ride have decided is an Optimum time to complete the course and to adjust the team’s progress accordingly. 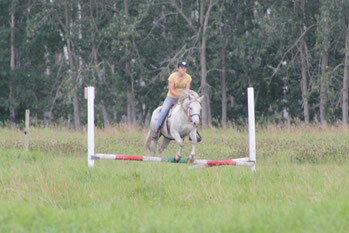 This Optimum time is determined by sending out an experienced rider to ride the course before the event. A timekeeper will track “on-course” time for each team and the team coming the closest to the Optimum, whether over or under, will be declared as winner of the Pace Rider Division for the event. Although jumps are found along the course, taking them is always optional for both divisions. Because we’re concerned about safety, all riders taking jumps are required to wear protective head gear. There will be 10-12 possible jumps of varying heights to test your mount’s abilities.